You may have come across the term “landing page” while learning about digital marketing. But honestly the term is used very loosely. 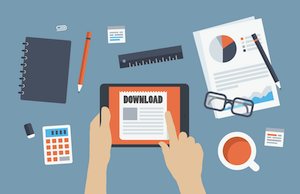 So what exactly is a landing page, sometimes referred to as a lead capture page? How do you use them in your digital marketing and advertising? Have no fear - we are here to help! Once you understand what landing pages are and the purpose for them, you’ll be able to make a plan to incorporate them into your own inbound marketing efforts. The implementation of successful landing pages can help increase your marketing ROI through your website AND help you ensure that you are targeting your ideal personas. The primary benefit of having a website is to explain what your business does, and how you solve your persona's problems so that you can generate leads. Right? So how are you collecting those leads on your website? Sometimes you use a form that's embedded on a regular website page. And that can work. But when you really want to get and keep someone's focus on the topic at-hand, a landing page works well for lead collection. It will allow you to gain valuable information from potential customers while offering them something specific to help them at the same time. This process of converting visitors into leads is critical for increasing sales. They are NOT any ol' page on your website where a searcher might "land." Landing pages are not just any page on your website, nor is it a page that you would send visitors from your Google Ads or any other paid advertisement to. But, they are an essential part of any well-planned inbound marketing campaign. In a nutshell, a landing page is a single page on your website that exists to convey a focused message and collect the interested visitor’s information. Thus, converting a website visitor into a lead. AKA: A form to collect the visitor's information. A useful offer or information is best to entice your website visitor to give you their contact information in exchange for the offer. A bit of content on the page about why they might want to take advantage of your offer is helpful, but you need to make it obvious as to why this visitor needs your offering. What are they going to miss out on if they don’t act NOW? They need to be enticed enough that they become willing to give you their email address in exchange for that content. You can see a real-life example below. We've included information that the target persona would find useful, an offer that includes a free project checklist, and a form to request the offer and collect the visitors information. This is one of our clients that provides office furniture installation. They often work with out-of-town office furniture dealers and office space designers. What are they offering? A checklist for project managers can use to ensure that they are staying on track when completing an out-of-town install. How does the offer benefit the visitor? 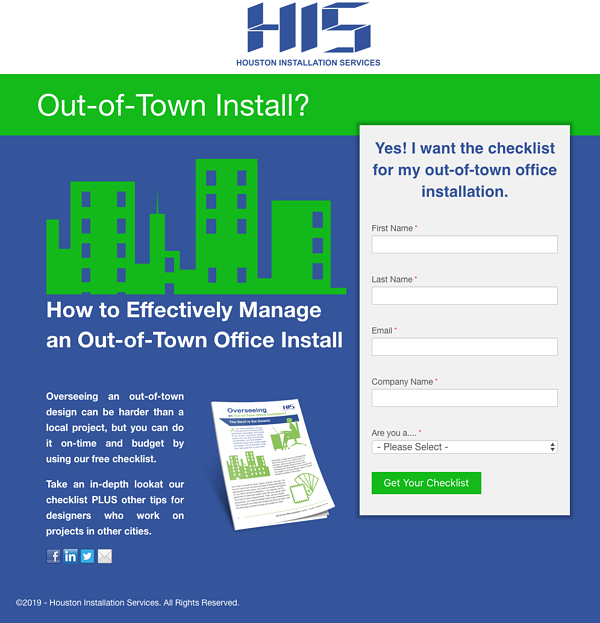 They can use the checklist to ensure that they are staying on track when completing an out-of-town install. Why the visitor needs your offer NOW? To ensure that their latest project is staying on on-time and in budget. The information being collected on the form is only the information that the company needs to ensure that they can serve the lead appropriately. This form also triggers other marketing automation to start occurring based on the leads persona. I mentioned above that having a form on your landing page is imperative. Your form is going to collect your visitor's information and turn your anonymous visitor into a lead! Maybe one or two other questions that are pertinent for you to be able to close the sale. Maybe their job title, or the size of the company they work for, or the frequency of their participation a sport are important for you to have in order to sort your leads into personas, but just keep it narrowed down to what you really need. Important: Think like the customer. What would you be willing to give to get this free information that could really help you? I’m sure you’d have some limits! So will they. And there’s one thing you don’t want to include on your landing page. The rest of your website’s navigation. Navigation is removed to keep the attention focused on the topic, and to avoid letting your website visitors get distracted. The last thing you want to do is let a website visitor wander through your website anonymously when you had their attention on a page that could have gained contact information for your sales team. Once they’ve become a lead it’s OK to use the full navigation. We often add the navigation back on the thank you page after the visitor becomes a lead. You can tell them all about the other cool things you can do when the time is right. For now, give them what they’ve asked for. So now that you know what you need to include on a landing page, and what information you need to collect, you might be thinking, "What should my landing page offer be?" It's OK! We get this question a lot. You're not alone. And thankfully there’s a path to success! Landing pages can be an extremely valuable tool for turning visitors into qualified leads because you know they have an interest in a specific product or service that you offer. And what’s great is you can have as many landing pages as you want. Be creative. Think like your customers. What do they want from you? Then give them some of what they’re looking for… for free. What Should you give away on a Landing Page? In most cases it should be something that they can't get without filling out a form on someone else's website. Maybe PDF that you're offering of important how-to content. Or maybe it's a video with some really great info included. If the offering is compelling and strikes a chord with the visitor, they’re going to be OK with sharing some basic information about themselves to access the content. This allows you to start earning their loyalty and trust. And what happens when someone likes and trusts a company? They give them their business! On each landing page, you’ll need to have a call-to-action. Tell them, in plain English, what you want them to do next. Download a free eBook – you’ll see examples of this on our own website. Download a coupon for a free trial or visit. Download or watch a video with information the visitors are looking for. We've established that a landing page is instrumental in collecting some information that turns anonymous, unknown website visitors into identifiable leads. We've covered what your landing page should include, but do you have a strategy for how you’ll make these landing pages really turn visitors into leads? There are some landing page best practices that our marketing agency always recommends to our clients in order to help them increase the number of landing pages leads they receive. 1. Keep your branding the same. Make sure your landing page design looks like it belongs to your company and matches your company’s branding standards. If someone was on your blue and green website and then they arrive on a landing page that’s red and orange, you run the risk of confusing your visitor. “Is this the same company?” and “Did I click the right thing?” are not the things you want your visitors to be saying. You want them focused on what you’re offering to them in return for their contact information. By giving them a consistent experience with the rest of your company’s brand, you’re growing the visitor’s confidence in your company as the expert (in whatever you do). 2. Keep your message consistent. If they get to the landing page and the information is about “how to sell widgets,” they're not going to be very happy. That’s not what they were looking for. This example shows how easy it is to lose a visitor’s confidence simply by not delivering exactly what you promised. If a call-to-action states you’ll learn about building widgets, be sure to offer that information (or how to get that information sent to you) on the landing page. It’s easy to want to tell your potential lead about all of the awesome things you can do, but trying to cram all of that on a single page is just going to be overwhelming. And, overwhelming landing pages are not going to give you the results you are hoping for. Successful landing pages are simple. Stick to a single topic for each landing page. Maybe it’s a free trial or a free ebook. Feel free to explain why the offer is great, how it can benefit the visitor, and even stats, if they are helpful, and whatever you’re giving in return for the lead information, make it easy to understand how to get it. However, don't go off topic. Save the next topic for your next landing page. This also means removing distractions from the page, like extra links and the website’s full navigation. (Remember, I told you this earlier. I was serious.) Save the navigation and extra links for all of your other pages. 4. Allow visitors to share your landing page. It's a simple task that can go a long way in gaining new leads that you might not have otherwise. Odds are good that if a visitor is a good potential customer, they know some more potential customers. Let them do some of the dirty work and spread the word for you! I cannot reiterate enough, the importance of following up with your new lead after they complete your form. You first follow-up should be to deliver whatever information or offer promised on the landing page. After your initial follow-up, you can begin he process of turning your new lead into a sale. Taking the role of educator, rather than a salesperson, is likely to turn those inbound leads into customers because of the trust that you're beginning to build with these leads. Be sure you have a way of gathering the lead's information and putting it into a database that lets you setup and track future interactions; we use HubSpot. Which is software that works wonders in managing your content, visitor information, and provides marketing automation. **Bonus Tip: Please make sure your landing pages are mobile optimized! It's 2019, it's estimated that over 2.5 BILLION (with a B) people are using smartphones. You need to make sure that your landing page can be viewed not only from desktop computers, but also from smartphones and tablets. 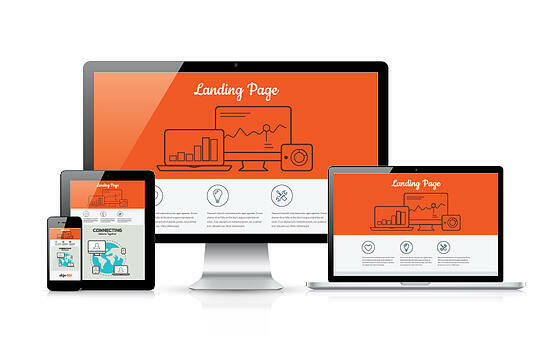 When implement this strategy on your website, be sure that you have a responsive landing page design. This means that no matter the device screen size, your landing page be viewable and actionable. Landing Page vs. Homepage vs. Pillar Page - What’s the Difference? Your homepage provides general information about your company, products or services. It, typically, should have many links which direct you to other pages within your site. This is useful to visitors who are just browsing for information. A landing page requires an action from the visitor allowing you to follow-up and establish trust with your leads. This makes it more likely they that will keep them coming back to you for more information. "A pillar page is the basis on which a topic cluster is built. A pillar page covers all aspects of the topic on a single page, with room for more in-depth reporting in more detailed cluster blog posts that hyperlink back to the pillar page. Pillar pages broadly cover a particular topic, and cluster content should address a specific keyword related to that topic in-depth. For example, you might write a pillar page about content marketing -- a broad topic -- and a piece of cluster content about blogging -- a more specific keyword within the topic." You can read more about SEO topic clusters in this blog. Now that you understand the value of the landing page and how it plays a key role in reaching your marketing goals, you're ready to get started! Then, you can discover the benefits of your landing page by downloading our free eBook, How to Unlock the ROI of Your Marketing with Analytics. It's possible to increase your revenue by using the data collected from your landing pages! Originally published April 2015. Revised March 2019.